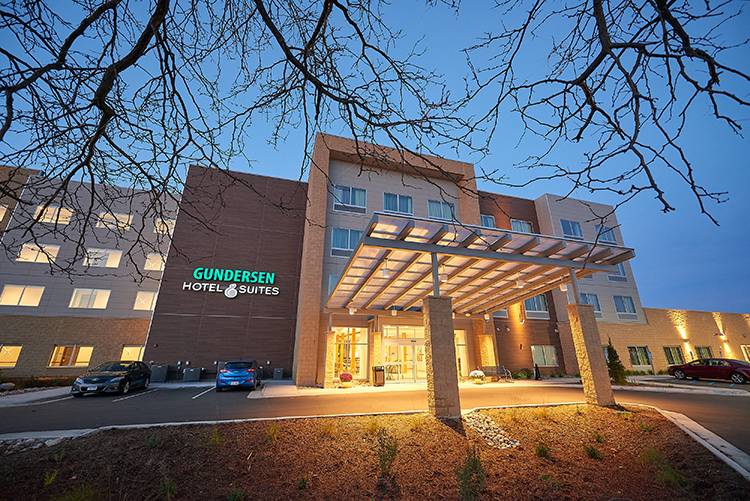 The new Gundersen Hotel & Suites is an exceptional choice for travel into La Crosse. The hotel is located adjacent to the Gundersen Health System campus. 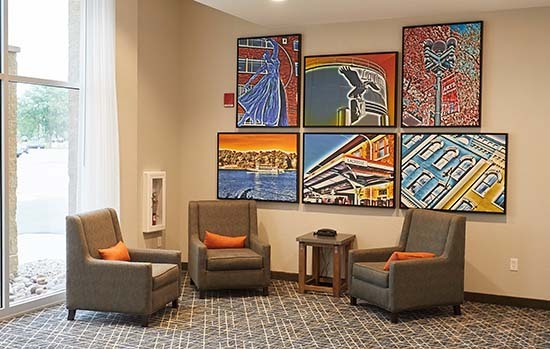 If you are in town for hospital related business, the property is connected by enclosed concourse access to the campus. 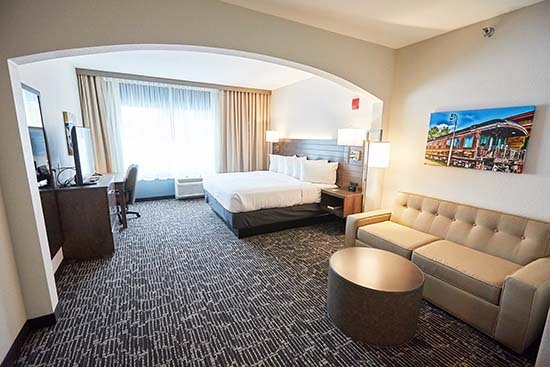 Only 1.5 miles from the heart of downtown, the hotel is a great way to escape business and enjoy views of the bluffs and river in our Riverview Terrace room. The hotel features a clean, modern design, with many comforts and conveniences to be your home away from home. Start your day with the free breakfast, featuring Caribou Coffee and Tea, local bakery items, a rotating selection of hot items, with fruit, juices, yogurts, hot and cold cereals and more. Complimentary Wifi is available throughout the property. 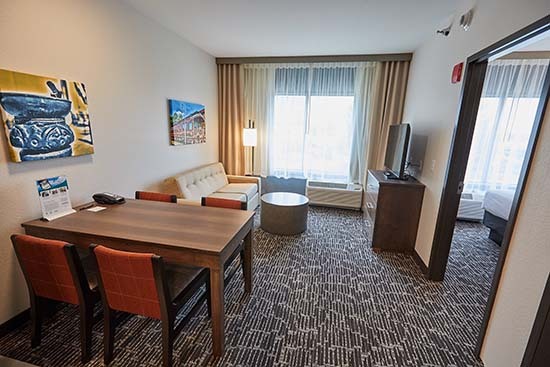 We offer spacious guest studio rooms ideal for short and long term stays, with Cuisinart coffee makers, LED televisions, spacious work zones, and lots of charging outlets for your personal devices. Gundersen Hotel and Suites located at the Gundersen Health System campus in downtown La Crosse. 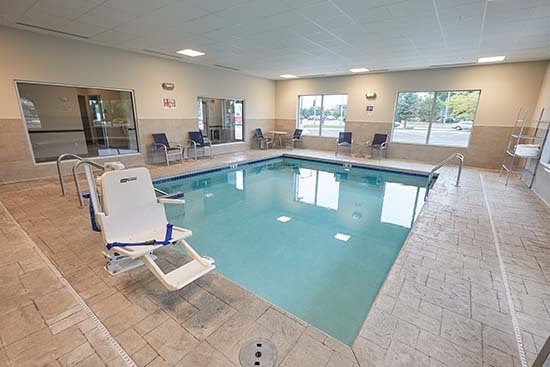 Convenient to downtown La Crosse, escape work and the hustle and bustle and relax at the end of your day in style. Enjoy views from the Riverview Terrace Room of the river and the bluffs of the Mississippi. Only a short 1.5 mile drive from the heart of downtown, the Mayo Clinic and the University of Wisconsin.